Season ticket holders and One Hotspur members accrue ticketing (previously loyalty) points in different ways. Please note that Season Ticket holders will always obtain ticket priority over One Hotspur members. Why has my away application not been successful when I have enough points? Why were points added then removed? When will my points be added? Will my points change if I use Ticket Exchange / Share? Please only contact us if you have a query regarding points for a match that has already been played. If the match is yet to be played or has been played after the last update, please wait until the points have been updated for all One Hotspur and Season Ticket holders before contacting the Ticketing team. For the Premier League home fixtures being played at Wembley Stadium, connected by EE, points will be allocated after the match has been played, typically within a couple of weeks (however it can take longer during busy periods, please see above for the last update date). For all Premier League away fixtures and home cup games, points within 24 hours of payment being received. More detail for One Hotspur members and Season Ticket Holders below. Season Ticket holders will accrue ticketing points for renewing a season ticket and purchasing any tickets for games not included as part of your Season Ticket, using your client reference number. Season Ticket holders will receive ticketing points for purchasing a ticket to any first team home or away match that is outside of the 19 Home Premier League fixtures. The ticket must be purchased using your client reference number. Premier League away fixtures, all home cup games are added to accounts at the point of purchase. Attendance points are added after the match has been played, see above for the next points update date. Away matches: Your points will be added to your account once you have been charged for that ticket (i.e. not at the point of notification you've been successful). Please see additional notes below for Away points and allocations. Points will be added for Away tickets within 24 hours of the card being charged. Attendance points will be added manually after the match has been played (subject to your ticket being scanned), see above for the latest points update date. Are my Ticketing Points affected by using the Ticket Exchange platform? No. The listing and selling of tickets via Ticket Exchange will have no impact on your Ticketing Points total. When are my Away ticket points allocated? If you have multiple tickets in the same booking - occasionally tickets within the same booking are charged in separate transactions, points will be allocated once that individual ticket has been charged for. Throughout the Season, the cut-off point for qualifying for an away ticket is based on the accurate ticketing points total as of the application closing date - excluding any points awarded for joining the automatic cup scheme (i.e. 10 points for Gold Season Ticket Holder). You'll have seen the following statement in each of the Away Ticket news articles "This EXCLUDES any points awarded for joining the automatic cup scheme". For example: Your Ticketing Points Total is 610 = 600 points + it includes 10 points awarded for signing up to the automatic home cup ticket scheme. The qualifying ticketing points cut-off is based on the 600 points, not the 610 points. One Hotspur members receive 10 ticketing points, One Hotspur+ receive 15 ticketing points. If you renewed via direct debit before 31 May 2018 you'll receive a bonus 5 extra ticketing points. Please note: If your membership lapses, you'll lose any accumulated points and it is not possible to reinstate these once lost. See above for all matches where Ticketing Points have been added to accounts. Points will be allocated after the match has been played (ie not at time of purchase), please see above for the latest update date and which matches One Hotspur members have had points allocated for. Some One Hotspur members renewal points weren't automatically applied when they renewed by direct debit before 31 May. Our Ticketing partner has now resolved this and these points have been applied to effected accounts by the end of October. Note: This did not impact your ability to purchase tickets. One Hotspur members will receive ticketing points for purchasing a ticket to any first team home or away match. The ticket must be bought using your client reference number. Unfortunately, we are unable to reassign tickets once the purchase is complete. From the start of the 2012/2013 season, we made some changes to the ticketing point system to ensure that those supporters that continue to regularly attend matches are recognised when we come to allocate tickets for the most popular matches. As a result of these changes the points total held by One Hotspur Season Ticket holders and Members will consist of the points gained in the previous 4 full seasons, as well as the current campaign. In addition, this total will be added to by any points gained during the 2018/2019 season. At the end of next season, then any points from the 2014/2015 season will fall away to be replaced by points gained during the 2018/2019 season. Why did the system change? By making the changes to the points system, the Club are looking to show recognition to those supporters who have continued to maintain the most active match attendance records over a number of years. At the same time, this alteration ensures that supporters who accrued a large number of loyalty points a number of years ago but are no longer able to attend matches as frequently do not maintain an unfair advantage in terms of access to tickets to the most attractive matches. As a result of these alterations, supporters who were members or Season Ticket holders prior to 2012/2013 will see their loyalty point totals drop. However, this will apply to everyone, and new totals will reflect the continued active support over the last four full seasons. Login to the Ticket & Membership Centre here using your client reference number and password. Click the word 'Ticketing Points' which will appear next to your current points total. A breakdown of your point history will be detailed here. Please as the two programs are not comparable if you switch between being a One Hotspur membership or Season Ticket holder (or vise versa) your accumulated points will expire as they can not be transferred. To aid supporters wishing to apply for away matches, and to assess the potential for their access to tickets, we have published a loyalty points table on the Club website. There are separate tables for Season Ticket holders and One Hotspur members showing how many supporters there are in different loyalty point brackets. To view the Ticketing Point Table, please click here. This table is to act as a guide for supporters and will be updated monthly. To view your own ticketing points, please log in to your account. One Hotspur Members: Typically ticketing points are added after the match for One Hotspur members - we had to add then remove these points in order to generate a ticket for you. They have been added back to your account (assuming you scanned your ticket). Season Ticket Holders: Your 30 ticketing points you receive included points for these matches, they were added then removed for all Season Ticket holders to retain parity. 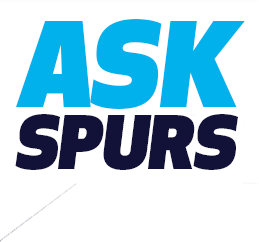 All accounts have been updated and all One Hotspur members and Season Ticket holders have the correct number of points allocated to them for attending matches. Manchester City 29 October: One Hotspur members were allocated 4 points for attending this match, you may have seen 1 point added then another 3 points later on to bring the total to 4 points.